By now, you'll probably have heard that Prince died yesterday in his home in Minnesota at the age of 57. Today, Google is paying tribute to him with a 'Purple Rain' Google Doodle and by colouring Google Play Music's usually orange branding purple for the day. Purple Rain was Prince's sixth studio album, as well as the last song on the record and also his debut film. Ever since, purple has been associated with Prince (he painted his rented house purple in 2006), so it is very fitting that Google has chosen to honor him in this way. It's a pity the Android version of Play Music hasn't gone purple for the day, though - the Android app surely gets more usage than the web version. 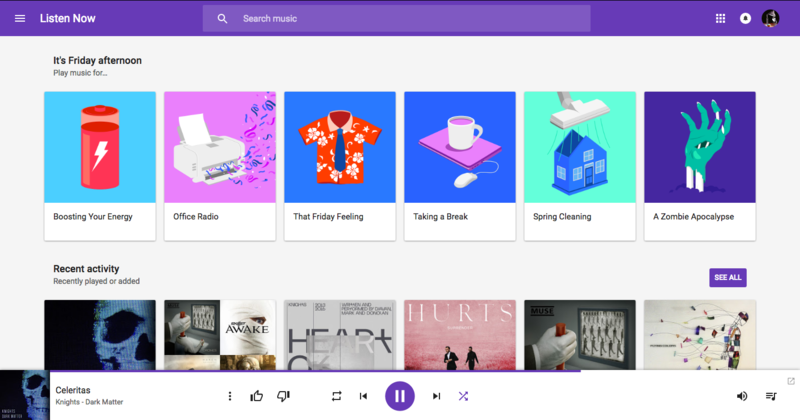 The Google Play Music interface, in purple, to honor Prince. With the Google Doodle, which was live yesterday (today's Doodle is commemorating Earth Day), the Google logo has been colored purple, with rain falling behind it, occasionally hitting the letters and splashing slightly. It looks really great, and again a very fitting tribute to one of the world's best-selling and innovative artists of all time.